Injection Molding Screws & Extrusion Screws | R. DRAY MFG. With almost 50 years of feed screw design and manufacturing expertise, R. Dray has developed innovative solutions that redefine the standards of efficiency in the plastics manufacturing industry. We offer a full range of patented barrier screw and mixing screw technology to accommodate any molding and extrusion challenge. An improved screw design can increase output, reduce melt temperature, reduce energy consumption, improve quality, and increase your bottom line. Let us custom design a solution to maximize your productivity! We were the first to guarantee performance in the Plastics Industry. Other companies may claim to be the performance leader in screw technology, we go a step further - we guarantee that our designs will out perform all others - and have guaranteed this for over 40 years! The most widely used barrier screw technology in the plastics industry. Low shear distributive mixer, ideal for filled and shear sensitive resins. High shear dispersive mixer that improves melt uniformity and quality. Low shear distributive mixing design that greatly improves color dispersion. 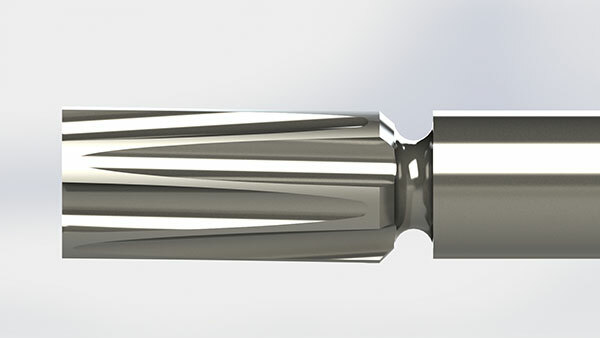 Improved general purpose screw design, ideal for contract molding. High shear dispersive mixing design that is typically paired with the MFV.. Improved vent design for multi-stage vented extrusion applications. Adjustable barrier screw design ideal for optimizing regrind processing. If you have a troubled application, would like a free quote, or want to know what we can do for you - we'd like to hear from you! Feel free to reach out with any questions your team might have. There's a reason why some of the largest resin processors in the world depend on us.